At Tremeifion we offer exclusively vegetarian and vegan cuisine, in a setting characterised by the majesty of the National Park and the Snowdonia mountains. We look out across the Dwyryd estuary towards the Italianesque village of Portmeirion and the misty blue mountains of the Lleyn Peninsula. 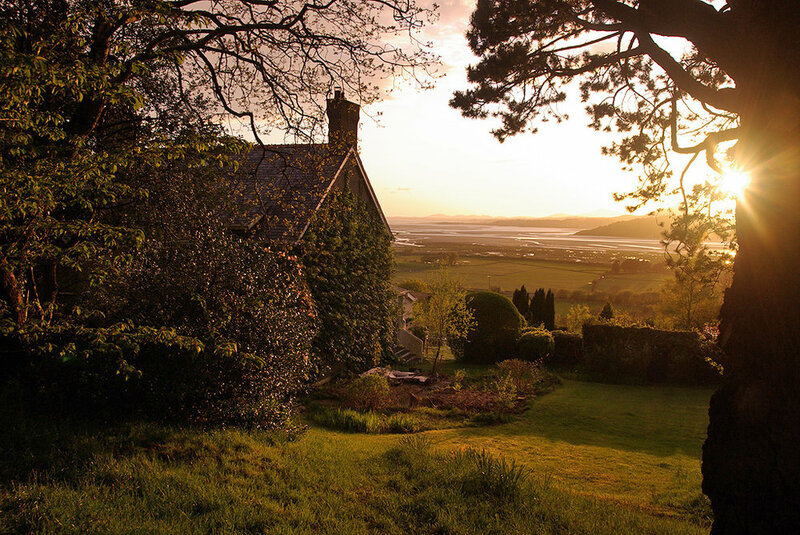 For the more energetic guest, there’s a wealth of things to do and see in the North Wales area, but Tremeifion itself is quiet and comfortable, a place of retreat in which to unwind and replenish your reserves. We have no television here, but you can watch the sunset from the conservatory, read in the library, play games or watch a DVD in the lounge, or explore our three acres of garden. The views across the estuary are constantly changing and it’s relaxing just watching the tides and the weather, and the changing light. Much of the fruit, herbs and vegetables served here come from our still-evolving organic garden and orchard. As far as possible our food is organic, and special diets (eg gluten-free, raw, allergies) are happily catered for.